We are in the heat of spring training, which means our national pastime’s regular season is right around the corner. What better time to take a look back at Major League? 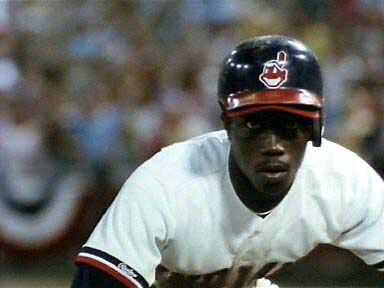 In Major League, the Cleveland Indians have been putrid for quite a while. The longtime owner has just passed away before spring training, so enter Rachel Phelps, his cold, wicked, and ex-showgirl wife. She is now in charge, and has plans to move the team to Miami due to her hate of Cleveland. Only one problem: The Indians are locked into a stadium lease, and the only way to void it is if attendance falls under 800,000 total for the season. To achieve this dubious “goal” and get the team moved, she conspires to field the worst team ever conceived on a baseball field, from has-beens to no-beens to even convicts. There is no way this team could even think about contending, right? 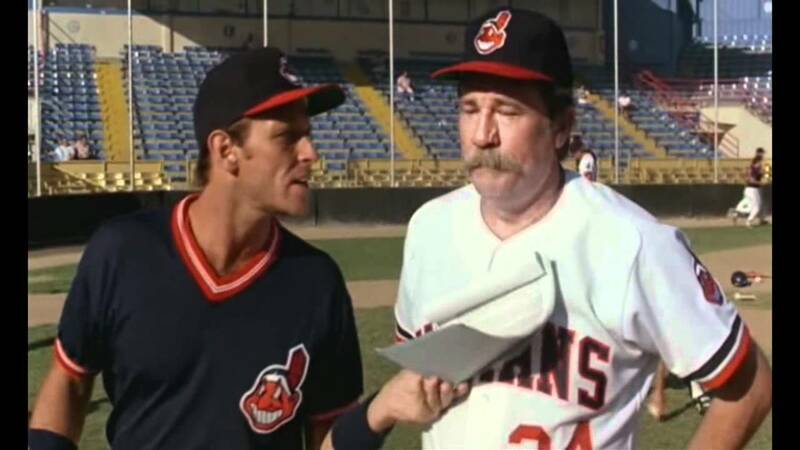 As a pure sports movie and even a sports comedy movie, Major League is one that never truly gets the acclaim it deserves. It really features an underrated script that never gets too heavy but never gets too silly either to the point it becomes unbelievable. It is simply fresh; there really aren’t a plethora of sports movies that I can recall where someone internally wants so much to see their team fail in such horrific fashion. Tanking is not a novel concept anymore, but I believe it was rather original here. In addition, the film features higher amounts of emotion than one may anticipate. No, I am not comparing the appropriate scenes to those in, say Rudy or The Natural. All I am saying is that it may “hit” (pun intended) a bit more than you think. I could not help but smile when Cleveland made its run and “Pennant Fever” was playing in the background. And everytime I view the film, I get chills as the team takes the field in the season ending game, and the camera zooms out and pans ever so slightly to the crowd. This is just a small part of the surprisingly solid camera work. There are some other interesting shots present, but the real star is the editing. Real smooth, never jerky, or haphazard, which unfortunately is present occasionally with sports movies, and the slow motion is employed at the right times to maximize gravitas. Still, Major League is by and large a sports comedy, and it is easily one of the funniest around. It begins with the characters in all earnest. 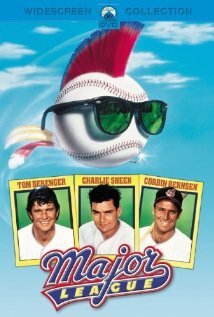 I believe there is a tendency to file the movie as Charlie Sheen’s and everyone else as he does play the iconic “Wild Thing” Rick Vaughn, but Tom Berenger, Corbin Bernsen, Dennis Haysbert, Wesley Snipes, Bob Uecker and James Gammon all lay down great performances that comprise an unbelievable ensemble cast. Most if not all of them are likable, aside from Dorn who is sort of douchey but not a complete jerk. The chemistry is evident from the onset, and it helps that they all look the part as professional baseball players. So when the laughs come, it truly feels organic and unforced. Speaking of unforced, the movie has awesome dialogue. The slapstick is minimal, which gives the memorable lines center stage to shine. Major League is highly quotable and again feels completely authentic in its portrayal of a ragtag and slightly dysfunctional professional baseball team. The pacing is overall solid and the comedy is present both on and off the diamond. There really are not too many errors or missteps with the movie. While I do think it has the potential to be enjoyed by non-baseball fans, most sports movies do require a working knowledge and/or interest in the featured sport, so it is sort of niche, as a lot of sport-based movies are. I have seen the film with my sister before who is not the biggest sports fan, let alone baseball. While she laughed a few times, I got the feeling that she was bored with it. Additionally, some people deride the shift in the movie from sports comedy to ultimately just sports in the last third. Personally, I had no problem with the shift in tonality; we needed to see the team focused on an objective, and it made their run towards it more endearing. I cannot fathom a sports fan never viewing Major League, but should that be the case, make it a point to give it a watch. Highly underrated, side splitting banter, unforgettable characters, great rewatchability, and well done drama, even if it is somewhat predictable. Regardless, sounds like a five-tool sports movie to the Movie Man. Good review. I basically agree. This is more to this than basic popcorn entertainment. And it is always entertaining. It is. It never ever gets old. It very well may be a classic. Baseball isn’t my thing, but you have almost sold me on this. Charlie Sheen eh? That is awesome. I miss when it was not a rarity to see the guy in a film. Glad that you loved it!!! For sure. He has a good deal of talent, and it is unfortunate to see him succumb to the other side of Hollywood. Best baseball movie ever, heck probably in a top 3-5 best sports films ever. I could get behind this. It hardly is ever brought up when talking about classic sports movies though, which is a bit sad. Great comedy and sports drams.